In wake of the Me Too and Time’s Up movements sweeping the nation, more focus is being placed on women’s issues and on women as leaders. Yet at Bennett College, leadership and social activism have always been part of student life. 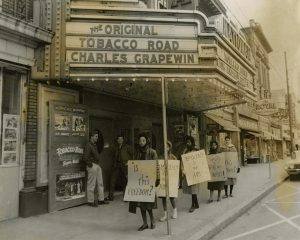 Long before 1960 when Bennett Belles joined in solidarity with the four North Carolina A&T State University students who sat down at a Woolworth’s lunch counter in Greensboro to protest discrimination, they picketed the Carolina Theater in 1938 over its racist practice of editing African-Americans out of films. Bennett Belles also protested the negative portrayal of African-Americans in movies – a year before actress Hattie McDaniel played a maid and former slave named Mammy in “Gone With The Wind,” for which she won an Academy Award for best supporting actress. Bennett’s activism in the late 1930s hasn’t been nearly as well documented as its involvement in the sit-in movement, which is told in “Belles of Liberty: Gender, Bennett College and the Civil Rights Movement in Greensboro, North Carolina.” The book, written by Bennet graduate Dr. Linda B. 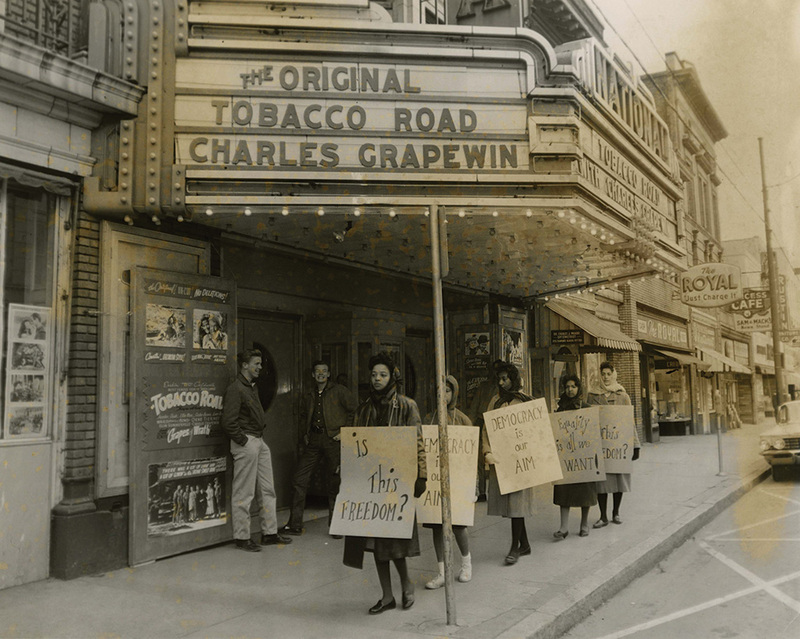 Brown, details the strategic planning behind the sit-ins and the active role Bennett Belles played. The book is the selected read for this year’s orientation classes at Bennett, which includes all first-year students. It was chosen to ensure current students know of the courage Belles before them demonstrated and to give them a historical context for the activism that is expected of them today. “I wouldn’t take anything for the experience I had at Bennett, especially during the civil rights movement,” said Mayor Pro Tem Yvonne J. Johnson, a 1964 Bennett graduate and one of the Belles of Liberty. 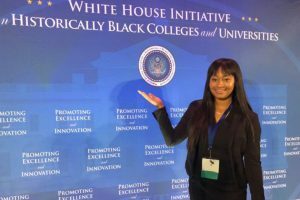 “The president when I was at Bennett was Dr. Willa B. Player, and I’ll never forget her saying to those of us who were protesting that if she had to give out diplomas in jail she would. That was her way of supporting what we were doing.” Johnson made history in 2007 when she was elected Greensboro’s first African-American mayor. She credits Bennett for giving her the confidence to run for political office. Johnson now serves on the Greensboro City Council and is the executive director of One Step Further, a nonprofit United Way agency in Greensboro that provides mediation and court alternative programs to Greensboro’s youth. Brown, who wrote the book chronicling the Belles’ sit-ins experience, said that while the United States is celebrating the reemergence of women leadership, Bennett has always nurtured and extolled student leadership. “This is not a new thing for Bennett College,” Brown said. “When I was there in 1960, I knew that part of my education was to develop my leadership abilities and to be an outstanding woman – not just an outstanding person but an outstanding woman.” Brown said she, Johnson and other Belles of Liberty dared to protest and get arrested because they knew they had the strong backing of the College. Bennett’s legacy of producing strong women has continued through the decades. Examples include Dr. Gladys Ashe Robinson, a 1971 Belle who is a Democratic Senator in the North Carolina General Assembly and also Chairwoman of the Bennett College Board of Trustees, and Belinda J. Foster, a 1979 Belle who made history by becoming North Carolina’s first African-American woman District Attorney. 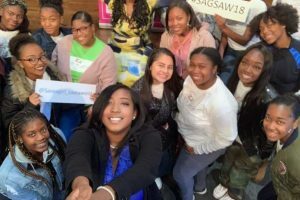 That Bennett Belles have significantly impacted North Carolina politics is no surprise to Dr. Gwendolyn M. Bookman, chairwoman of the Department of Political Science and Sociology and an associate professor of political science. 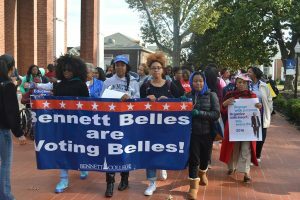 “Bennett Belles are also known as Voting Belles,” said Bookman, citing a phrase coined by Congresswoman Alma S. Adams who taught art history at Bennett for 40 years. Bennett’s history of social activism has also continued. Eleven years ago in September 2007, Bennett students traveled by bus to Jena, Louisiana, to join about 20,000 other people to protest against racial injustice in a case involving six black juveniles who were accused of beating up a white classmate and charged, initially, with attempted second-degree murder. The case highlighted systemic injustices often encountered by African-American defendants. Johnson, who attended the famous March on Washington on August 28, 1963, less than a year before she graduated from Bennett, hopes students will continue their activism. Bookman has no doubt they will. 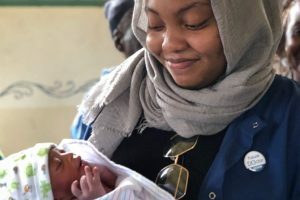 “This semester as we have in years past, we will continue providing Bennett students with the necessary tools to become dynamic leaders, adroit entrepreneurs and competent communicators – traits by which Bennett Belles are known,” she said. Bennett Belles are Global Belles!